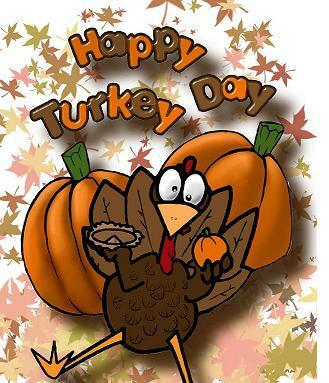 On behalf of the TmoNews team, I want to wish you all a very happy Thanksgiving. It has been a pleasure heading this blog for over 18 months now and it has been my honor to do this day in and day out. So thank you, thank you all for reading, for writing in and just for showing support. Not to be totally and completely sappy but I am eternally grateful for all the support, you, the readers have shown. So thank you, thank you for visiting. Stay tuned as TmoNews continues to grow, expand and continue its mission as the premiere T-Mobile news site. Have a very happy and healthy Holiday!!! I’m thankful for your blogging and keeping me abreast on my beloved Magenta. I love this site! Definitely a daily visit. Thanks T-Mo News… same back at you, keep up the good work!! Happy Thanksgiving everybody. And thanks for all your efferts keeping us up to date on T-Mobile happenings. If it weren’t for you I would never have heard about the big Behold 2 giveaway, which I have yet to win. Thank YOU Tmonews for being the only reliable T-Mobile news site! Happy thanksgiving to all. thanks tmo for a wonderful site. By the way, cool pic. Happy Thanksgiving to all. Be safe and eat plenty. At Radio Shack you can get a Curve 8900 FREE and a Behold 2 for $79.99. Sounds like a pretty good sale to me.